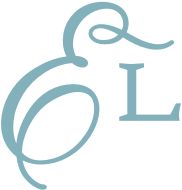 Embroidery Library creates most designs in several sizes. The variety of sizes offered means that you can usually find a size suitable to your project. Avoid resizing the designs. Resizing can damage the design and result in a loss of quality. To choose a size for your project, measure the space that you wish to fill. Then, choose the size with that in mind. Also, consider your machine's size limitations. 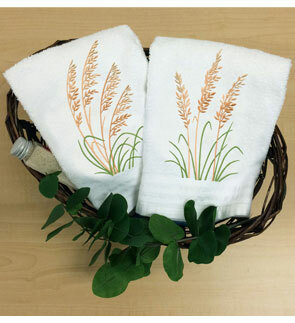 For example, imagine that you want to embroider a design on a tea towel, like the example here. Measure the tea towel and determine where you want to place the design. In this example, the area to fill is about 6 x 8 inches. If you have a machine that can accommodate that size, then choose the size closest to 6 x 8 inches. But, if your machine is limited to 5 x 7 inches, then choose the 5 x 7 size.